Ah, Marseille, such a colorful city, its history going back to antiquity, capital city of Provence… The Mediterranean city inhabits many fantasies, if only for its sunny climate, its bright beaches, its unique and authentic atmosphere, its particular culture. 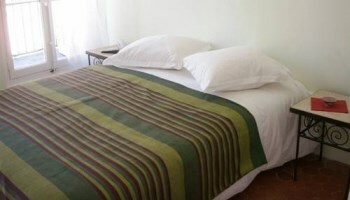 No one lacks reasons to spend time in Marseille, but you still need to know where to sleep. Don’t worrry, we are here to help and give you some tips about the best hotels of the city: follow the guide! 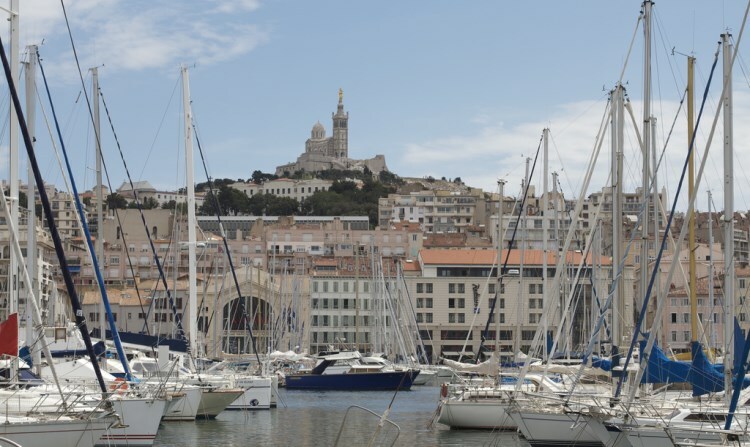 The Sofitel Marseille Vieux Port is undoubtedly one of the best hotels of the city. You just need to walk for 6 minutes to reach the Catalans’ beach, and even less to the Vieux Port. Right in the heart of the city (7th district), it is particularly well connected to the transportation network, and a ferry often goes to the Chateau d’If from the marina. 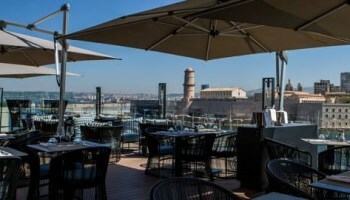 This hotels enjoys formidable assets, the first of them being its terrace and the astonishing view it has over Marseille and the Vieux Port. 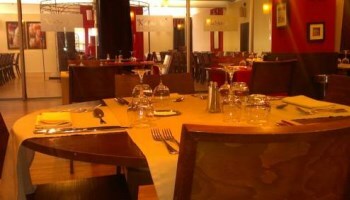 Its gastronomic restaurant, Les Trois Forts, adds a wonderful view to the culinary delicacies. The lounge bar Le Carré is really worth it too. But how are the room, though ? Bright and spacious, the rooms of the Sofitel Marseille Vieux Port all include a television, an iPod docking station and a minibar. The big private bathrooms are well furbished, and some of them even have a television. 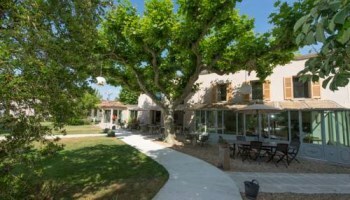 What we like: The gastronomic restaurant Les Trois Forts. What we love: The view over the Vieux Port from the terrace. The Golden Tulip Villa Massalia is a high-standing hotel in the 8th district of Marseille, only five minutes away from the Prado beach. Wouldn’t that be enough for a fantastic stay ? 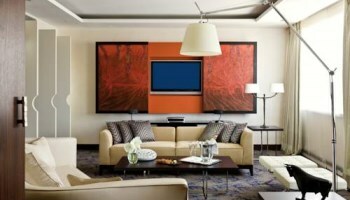 But there is more: the hotel proposes many luxury services to its guests, to make their stay memorable. Hence, you can enjoy the outdoor swimming pool, or the oriental spa Le Siwa, which proposes massages and beauty cares with natural oils, a sauna, a fitness room, a hammam and a Jacuzzi. 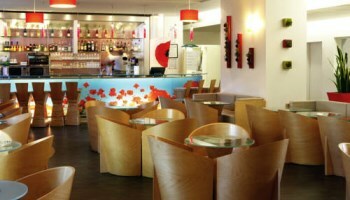 The Golden Tulip can also boast its gastronomic prestations: the Yin-Yang restaurant proposes Mediterranean foods with a view from the terrace over the Borély Park, whereas the Asiatic bar Chang’An prepares cocktails and snacks. 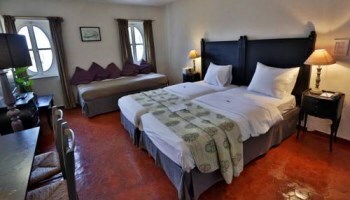 The luxurious rooms have aircon, free Wi-Fi and a television. Some of them even have a balcony or a terrace with a wonderful view over the sea. Ask for it when you book in! What we like: The view over the sea from the restaurant or the rooms. 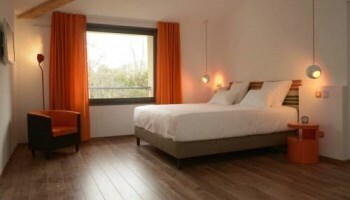 In the 9th district of Marseille, ten minutes away from the Velodrome stadium, Les Chambres de Jeannette prepare to welcome you with the hospitality and spontaneity of a guesthouse. Sainte-Marguerite Dromel metro station is only 200 meters away and allows you to access the heart of the city and the Vieux Port very quickly. All the rooms are soundproof and have free Wi-Fi. 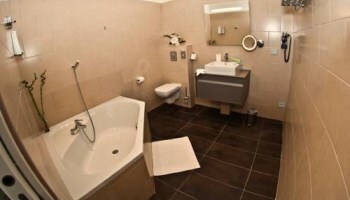 They also have a television, a private bathroom and aircon, with a design and modern decor. Some of them even have a living room. 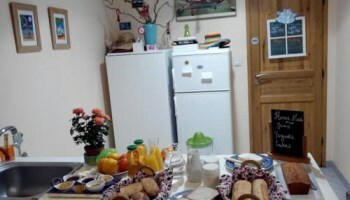 The owners are used to prepare homemade breakfasts and to care about their guests. We are sure you will lack nothing when you come here. The staff also knows very well what you can do in Marseille, and will be pleased to give you some tips and hints to enjoy the city the best way possible. What we like: The room’s decor. What we love: The owner’s care. Not far from the Calanques National Park and a five minute drive away from the beach, you can have a well-deserved rest in the Hotel 96. It has all you need to spend the best holidays in a beautiful 19th century building. 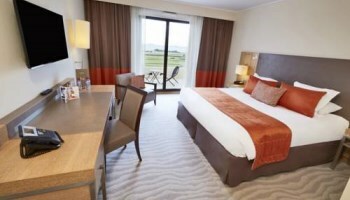 The spacious and modern rooms are equipped with a free Wi-Fi connection, a television, an iPod docking station, a minibar and a safe. They all have a private bathroom with a bathtub or a walk-in shower. The hotel proposes a complete and hearty continental breakfast. 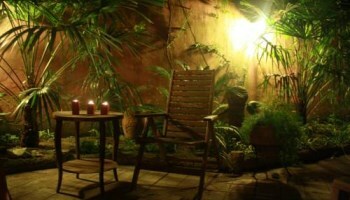 There are other services, such as a private parking, an outdoor swimming pool, a sauna and a massage parlor. The garden is just wonderful and very quiet, although the hotel is not too far from the center of Marseille and the beach. What we like: The homemade breakfast. What we love: The massage parlour. 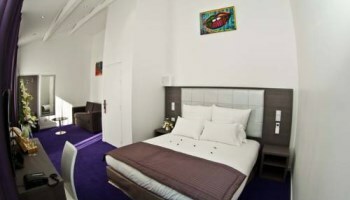 The Ryad Boutique Hotel is a magnificent hotel in the 1st district of Marseille, only a 10 minutes walk away from the Saint Charles railway station. 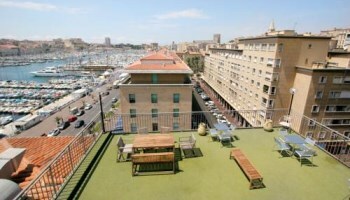 It is well located, juste next to the Canebière district and the Vieux Port. 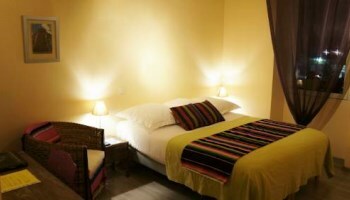 The Ryad, as its name hints, proposes the services of a Moroccan hotel, as much by its decor than by the menu of its restaurant (open from Thursday to Saturday if booked in) or parts of its breakfast (Moroccan crepe, etc.). The tearoom serves mint tea every day, fruit juices and Moroccan delicacies. All the rooms are ornated in a unique way and you can access them via a staircase. They all have aircon and a private bathroom. The gardens of the hotel, where you can have your breakfast, are wonderful. What we like: The Moroccan decor of the hotel. What we love: The exquisite tearoom. 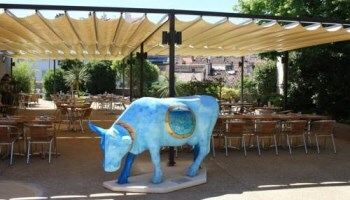 The Saint Louis, located in the heart of Marseille, has a specificity: it is an ecological hotel. Organic products, selective waste sorting, struggle against over-packaging… If you like to support this kind of projects, this hotel is for you! Only 400 meters away from the Vieux Port, and 500 meters away from La Canebière and Marseille’s Opera (worth a visit), the Saint Louis could hardly be better located. The reception is open 24/7 and does everything to make your stay enjoyable. The rooms are soundproof and very comfortable, they all have aircon, Wi-Fi, a television, an iPod docking station, a desk and a phone. The private bathrooms include a hair-dryer. They have either a view over the Cour Saint Louis or over the roofs of Marseille. The restaurant Le Petit Saint Louis serves breakfast and opens for lunch and dinner, you should try it! 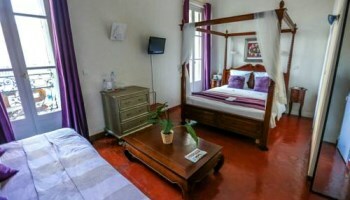 The hotel also proposes a laundry service, newspapers and a library with numerous travel’s guides. What we like: The ecological commitment. What we love: The ideal situation in the city. A ten minutes walk from the Vieux Port, the Music Hotel awaits you in the 6th district of Marseille, with its lounge bar and its terrace. 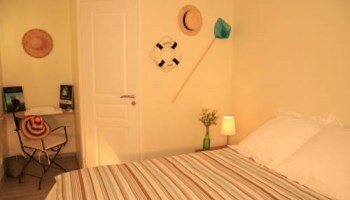 All the rooms have aircon and a modern decor, with free Wi-Fi, a television and a minibar. the private bathrooms include a hair-dryer and toiletry items. 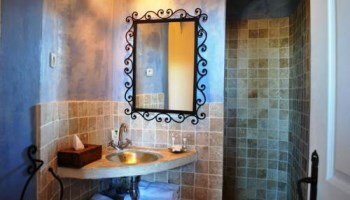 We have no doubt you will appreciate the luxury of the bathtubs and the big bathrooms. 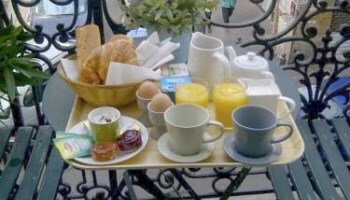 Near the Place Castellane and the Prefecture, the Gainsbar (the hotel’s bar, a reference to French singer Gainsbourg) proposes a continental breakfast each morning. You can also ask the staff to bring it to your room, with the free newspapers of the hotel. Estrangin Préfecture or Notre-Dame du Mont-Cours metro stations enable you to access to the rest of the city, which means you can leave your car in the private car park of the hotel. What we like: The central situation of the hotel. What we love: The luxury of the bathrooms. The Hermès hotel is located in the very heart of Marseille, in the 2nd district, less than 50 meters away from the Vieux Port. Three minutes away, you will find Vieux port - Hotel de Ville metro station, whereas Saint-Charles railway station is 20 minutes away. 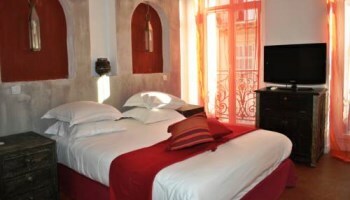 Some rooms have a small view over the Vieux Port, ask for them when you book in! They are all soundproof, with a Wi-Fi connection, a television, and a private bathroom. The hotel comprises a rooftop from which you can admire the city, the harbor and the sea. It is a magnificent view! The staff is available 24/7, and prepares a delicious continental breakfast in the dining room every morning. If you get up early, you may even go see the fish market on the Vieux Port, it is an important event in the life of the district. What we like: The situation of the hotel. What we love: The walks on the Vieux-Port. The Ibis Marseille Centre Gare Saint-Charles is particulary well connected to the transportation network: Saint-Charles railway station is only 50 meters away, as well as Saint-Charles metro station to access metro lines 1 and 2. In the heart of the city (1st district), there are many bars, restaurants, and shops in the area to please everybody. After a 20 minutes walk (the opportunity to discover the city by yourself), you enter the Vieux port. On a sunny day, you can even enjoy a drink on the hotel’s terrace. The rooms have aircon, a desk, a television with BeIn Sports, CCTV9 and RTR Planeta. The private bathrooms include a shower, a hair-dryer and free toiletry items. 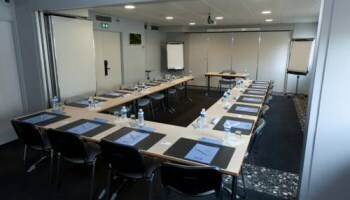 The hotel also comprises meeting rooms for your seminars or business trips. What we like: The meeting rooms of the hotel, very convenient. What we love: The hotel’s situation and the transportation network. 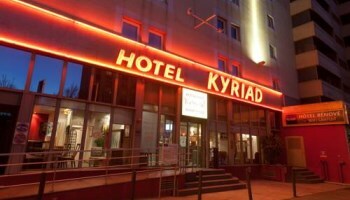 Located in the South of Marseille (10th district), the Kyriad Marseille Centre Rabatau allows you to access very quickly the A50 highway, and is not so far from the center of Marseille. 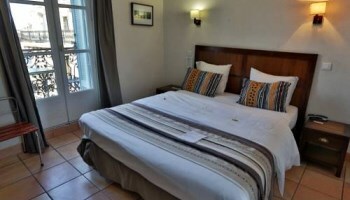 The rooms have aircon and everything you might need during your stay, including a Wi-Fi connection and a television with Canal+ channels. The buffet breakfast is excellent to have a fresh start on the morning. 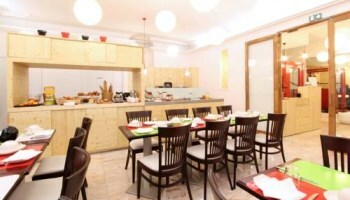 The hotel’s restaurant serves international food for lunch and dinner, it should please even the most difficult. 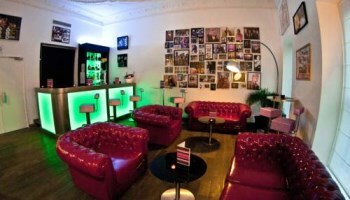 The hotel’s bar is perfect to spend some time with a drink. The reception is open 24/7 and is available should you have any request. 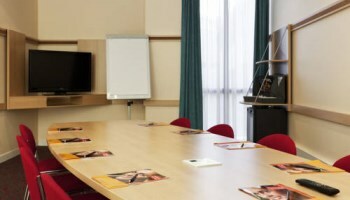 You can, for instance, book in the meeting room of the hotel. Finally, this three star hotel proposes very low prices for this kind of services (from 41€ per night), and always with a high quality. What we like: The rooms and their comfort. What we love: The prices.